This Year there will be two separate concerts. 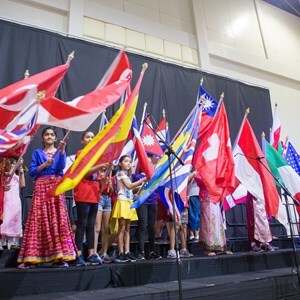 If your child is in Years 3 – 5 or the Recorder Club their concert will start at 2pm in the Sports Hall. 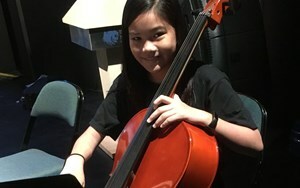 The High School (+Year 6) concert will begin at 4pm. 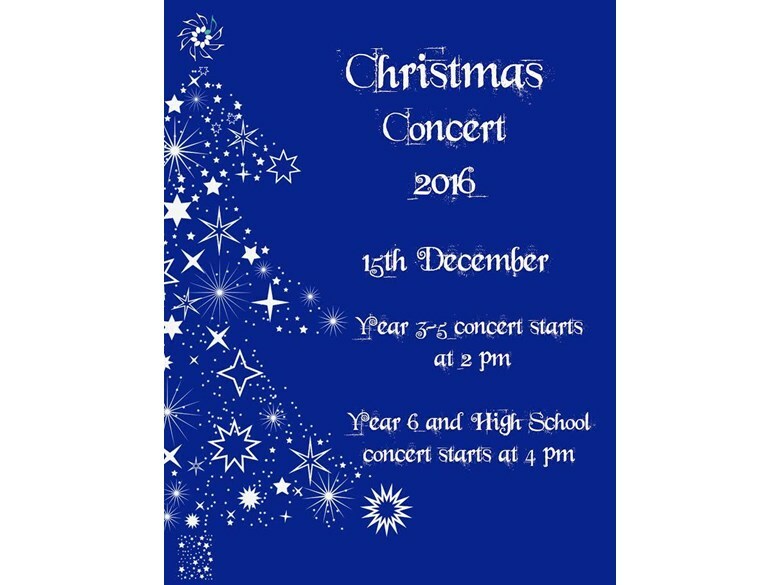 If your child is in Years 3-5 and in Wind Band or String Ensemble they will feature in BOTH concerts. House Carol Singing - EVERYONE INVITED TO JOIN IN! 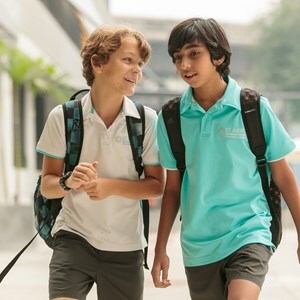 This year we will collect for “The Model Projects of Chaipattana Foundation under HRH Princess Maha Chakri Sirindhorn’s Patronage”. The purpose of Chaipattana Foundation is promoting peace, prosperity and well-being of the people. 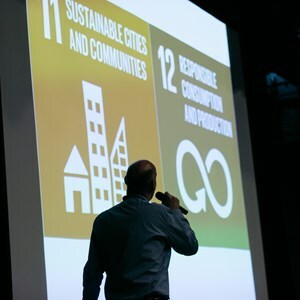 The foundation was initiated by the late H.M. the King who was an Honorary President and appointed the Crown Princess to become the Chair to support the development tasks to help the people. Please come along on Friday 2nd December at 7:30am and support by singing with us (song sheets provided!) 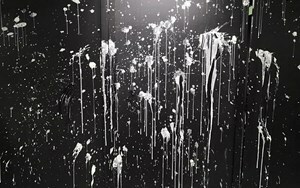 and by donating to the above charity. See invitation poster here. 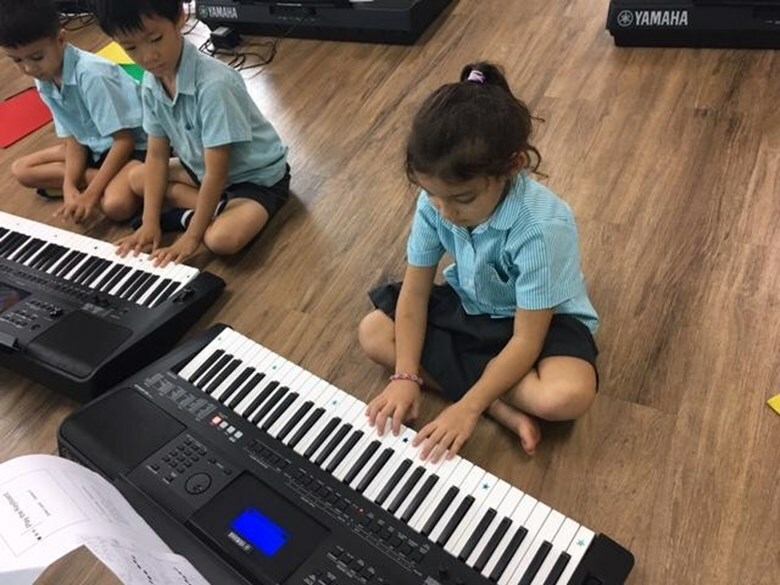 This term all of our primary children have begun working on their keyboard skills as part of the Juilliard-Nord Anglia Programme. 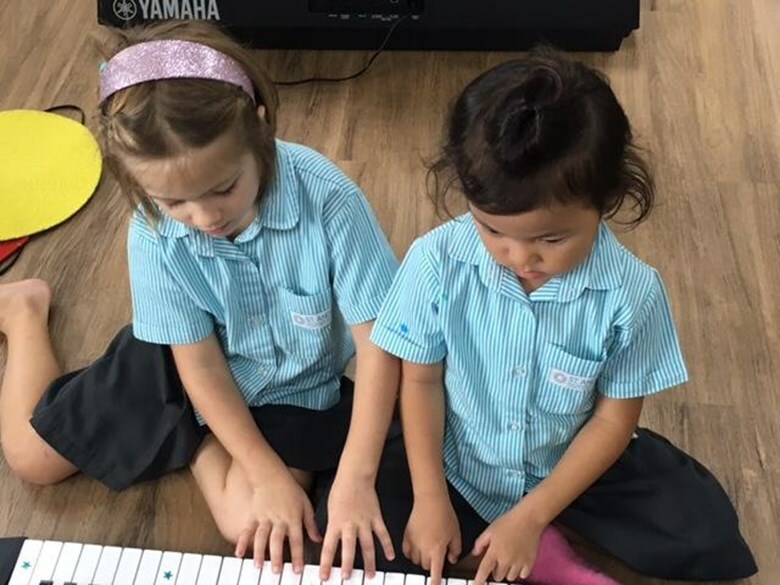 The children are really motivated to be learning together this way and our existing pianists have been relishing the opportunity to share their learning and skills. 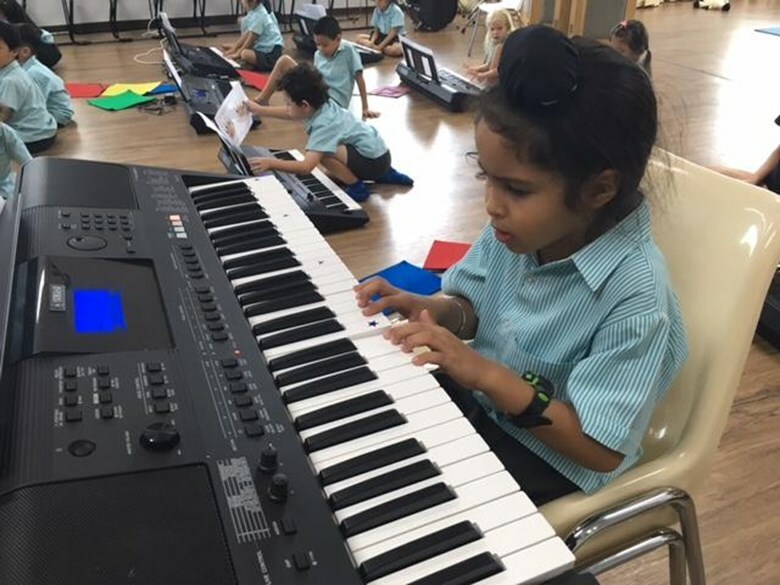 In our lessons so far, we have focused on skills building in order to give the children the necessary skills to be able to use the keyboard in creative and theory work. 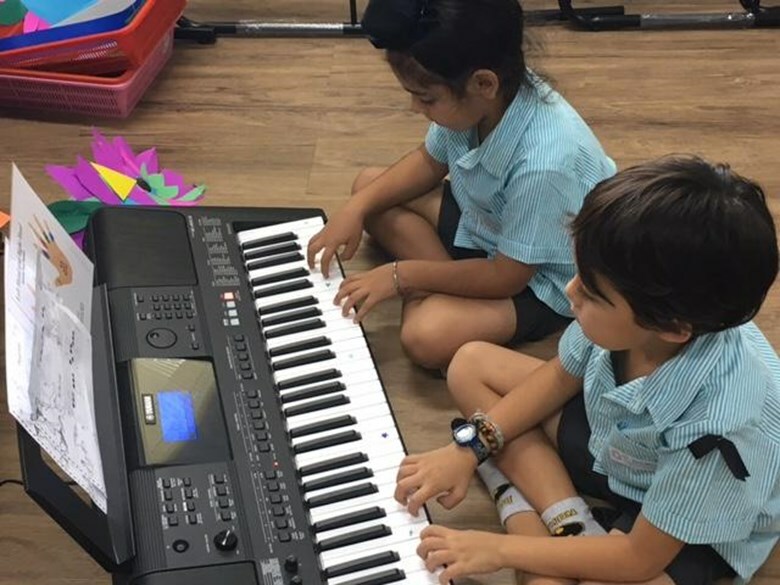 Children who already play the piano have been encouraged to develop their sight reading skills with new pieces in class, as well as embarking upon some short composition tasks to make use of their existing skills. 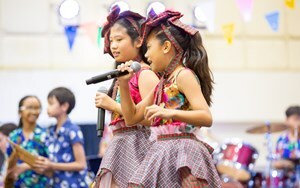 All the children will move towards using the keyboard creatively to enhance their understanding of melody and harmony. In the pictures above, have a look at some of our Year 1 children getting to grips with their developing hand positions and learning to read the notes on the keyboard. If you are stuck for Christmas present ideas, why not consider a keyboard! Then your child can share their learning with you and develop their love of music at home!